When it comes to live bait presentations and light line, there is no better reel than the spinning reel. 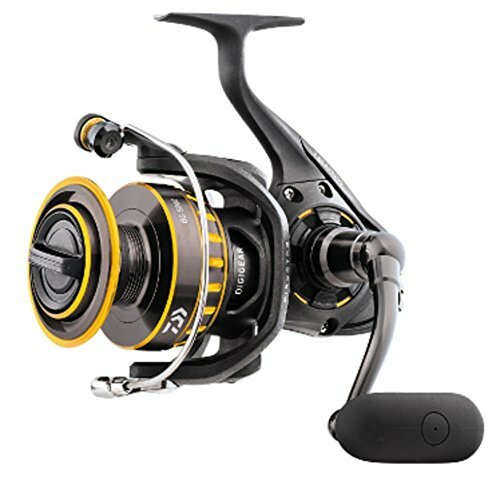 Of course, while this remains one of the easiest types of reels to use, it is dependent on whether you choose the best one for yourself. Now, this process is a bit trickier, especially since you are bound to come across hundreds of different choices on the market. So, we went ahead and looked at various reels to find out which products stood out in terms of durability, smooth casting, excellent retrieval, and more. One thing that stands out about this spinning reel is the quality of the material that has been used to construct it. Much of the body of the reel is made from hagane which ensures that it is quite durable while giving it a great appearance. At the same time, it manages to be quite lightweight. This structure is only elevated by the X-Ship technology of the reel. Together, they provide a reel that cuts down on the amount of friction between the gear and the spool shaft. As a result, you get to enjoy a much better casting performance, where you can cast your line out even further. The Propulsion Line Management System also does a lot to elongate the casting distance. In addition, it also works well to prevent backlash and wind knots in the line. Speaking of the line, this reel is equipped with a grooved Power Roller II feature. This makes certain that the line is properly wrapped around the spool, thus reducing the risk of looping or twisting. Also, when casting out with this reel, you will realize just how smooth the action is. This is all thanks to the Dyna-Balance technology which improves the smoothness of the reel and even eliminates retrieval vibration. To top this off, the Anti-Reverse Sure Stopper II works to get you a better hookset and to prevent any back-play. The only real issue with this reel is that you have to close the bail by hand, each time. If this isn’t something that you are used to, it can be especially tricky. What’s most apparent about this spinning reel is the fact that it affords you a considerable amount of power. This reel contains carbon fiber drag washers that offer up to 26.5lbs of drag. As a result, you get to enjoy an incredibly smooth drag, regardless of what you are fishing for. Now, with this reel, you don’t have to choose between front and rear drag – you get them both, with the flip of a lever. This means that you get to enjoy durability, performance, and are able to take on the more energetic fish, depending on your situation. There is also the fact that this is an incredibly well-designed reel. Complete with a CNC machined aluminum spool, computer balanced rotor, and an anti-corrosion body, you can be quite sure that this reel is going to last you quite a while. 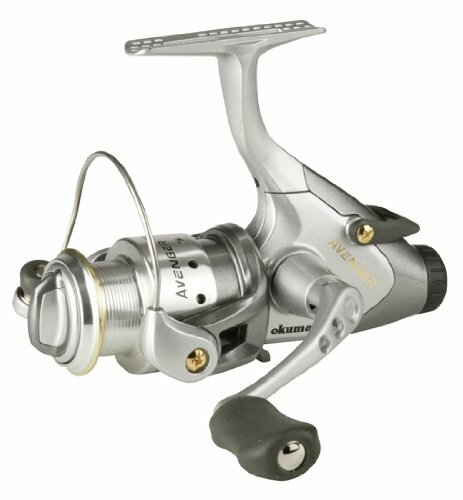 In fact, you will be able to use this reel in any type of environment that you choose – either freshwater or saltwater. Now, this is certainly one of the more durable reels that you will come across. This is an especially nice surprise considering the price point. The only downside though, is that the reel can be a tad bit heavy. So, you will need to use a corresponding rod for the best possible performance. This is yet another spinning reel that performs well in all kinds of fishing conditions. 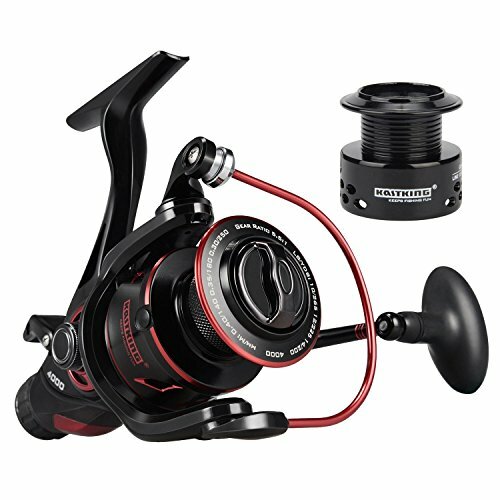 So, if you are someone who likes to switch things up between freshwater and saltwater fishing spots, this reel can accommodate you well. This is because it is watertight and you don’t have to worry about water, salt, or any other substances messing up the exterior or interior of the reel. The reel also boats a full-metal construction which allows it to endure for years and years, even if you use it frequently to reel in energetic game fish. It should be noted that all these heavy-duty materials do have a disadvantage, however. It can make the reel rather heavy and may force you to cut your fishing trip short due to the added strain. This is offset by the fact that this reel has incredible castability. Not only can you cast out to longer distances, you can be quite sure to hit your desired spot each time as well. Combined with the anti-reverse feature, you can be quite sure to get your hookset, prevent back-play, and be able to reel in your catch hassle-free. Then, of course, there is also the exceptionally smooth drag, all thanks to the sealed HT-100 Slammer drag system. So, tackling all types of fish, regardless of size or liveliness will be an absolute breeze. The feature that really stands out about this reel is the fact that is it incredibly durable. The aluminum housing along with the Digigear System ensures that the entire reel is distortion proof. This means that even if you frequently have to deal with game fish that put up a serious fight, you can be certain that this reel will come out on the other side unharmed. This isn’t the only feature that helps with the more energetic prey, though. This reel also offers up optimal power transmission and even prevents the braided line from slipping when it’s under strain. Another thing that ensures you get your catch is the anti-reverse feature on this reel. You will be able to make sure that your hookset is more on point and eliminate any back-play that can mess up reeling the fish back in. Not only does the drag system on this reel assure the smoothest performance, it is also waterproof. Therefore, you can use it for all types of fishing conditions and still be certain that it will last a long time. The only thing that is a slight letdown is the weight. So, you will find it a bit tiresome to use the reel for too long. If you don’t want to break the bank, then this is the spinning reel that you should go with. While it is affordable, it still offers excellent quality. Now, you should be aware that at this price point, there have been some compromises made. For instance, although this reel is corrosion-resistant, it is still made from graphite. In most cases, this spinning reel does perform incredibly well. However, you may want to think twice before going after really big or volatile fish with this reel. With that aside, this reel is an excellent buy. For example, the drag system on this reel is wonderful. You get the rear adjustment that works as a rear drag as well as the front drag. With all this together, you have the best of both worlds – a reel with a smooth, great performance and one that stands up well to most species too. What really sets this spinning reel apart, though, is that you can disengage the spool and allow the line to run free, without opening the bail. As a result, you can make sure that you get a really good hookset, without spooking the fish. Also, there are several waterproof features on this spinning reel that increase its lifespan considerably. One of the first things you will need to decide on when choosing your spinning reel is the housing material. The most common options are graphite and aluminum. Now, each of these has their own advantages and disadvantages and, in the end, you need to decide what works for you best. The main benefit of aluminum housing is that it is strong and durable. So, not only will it last longer, it also works well for larger, more energetic fish. Graphite isn’t nearly as strong or as resilient as aluminum. However, it is quite lightweight, in comparison. This makes it a great choice for anyone who prefers longer fishing strips and doesn’t want to strain themselves. The next thing to consider is the reel size. The size that you decide on will depend on where you will be fishing, the rod you are using, and the kind of fish that you are hoping to catch. The smaller fishing reels – 1000 to 3500 – are good for rods that are between 6 and 7 feet long. They are also suitable if you are fishing in streams, lakes, or harbors. 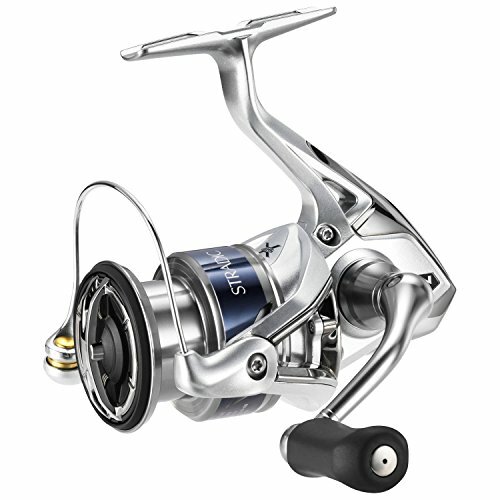 The mid-sized reels (between 4000 and 5500) are more suited for rivers and light offshore fishing. They work with rods that are up to 10 feet long. The largest spinning reels – up to 10,000 can accommodate rods up to 12 feet in length. These reels work best for boat or rock fishing. It should come as no surprise that one of the most important aspects of your reel is the drag system. In the end, this is what plays a large role in determining whether or not you catch your fish. With the drag system, you will need to figure out whether you want a front or rear drag system. For the most part, these terms refer to the placement of the drag levers. However, there can be other differences such as the front drag which has a greater number of drag washers, resulting in better durability. On the other hand, rear drag levers are easier to access and can be useful when tackling larger fish. Fortunately, there are reels that offer the best of both worlds. Of course, you do need to flip a lever, every time you want the settings changed. It helps to pay attention to the gear ratios mentioned on a particular reel. This is because it can tell you whether the reel will offer speed or power. Typically, reels with lower gear ratios are considered to be slower reels. This is because a lesser amount of line is picked up when you wind these up. Reels such as these, nonetheless, work well when you need power and torque to reel in more stubborn or livelier fish. If speed is what you are after, though, you should get a reel with a higher gear ratio. This is a feature that is rather widespread in modern reels. That being said, it is either a blessing or a curse, depending on the angler. Most people find this to be a useful feature. Since the reel isn’t allowed to move backward, you are more likely to get a better hookset with the fish. This increases the chances of you making a catch and being able to reel it back in. Where this feature may fail, though, is with certain larger fish. So, it really is up to you to decide whether or not such a reel will work in your favor. Weight: while a heavier reel often means that it is made from better material and points to greater durability, it also has its downsides. For one thing, you can’t use a heavy reel for too long without getting tired. So, you will need to determine which aspect is more important to you. Sealed systems: there are many reels that have systems designed to protect them from the elements. This is a good feature to have, especially if you fish in saltwater areas. This way, you can protect the internal elements of the reel, ensuring that it will work for longer. Compatibility: if you already have a favorite rod, it is important that the reel you buy is compatible with it. So, consider the weight recommendations of the rod whenever you are choosing a reel, to make sure they work well together. 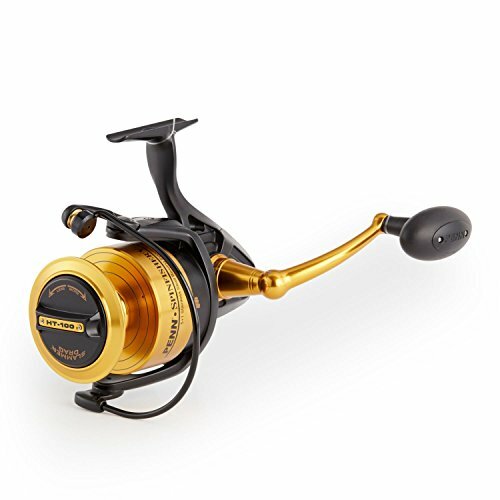 To summarize, if you want to buy a spinning reel that is affordable but still offers good value, then you should consider the Okuma Avenger Reel. On the other hand, if you are all about quality and performance, then you should stick with the Penn Spinfisher reel. If you prefer a lightweight reel that is comfortable to use, the Shimano spinning reel is your best option. For an excellent drag system, you will find that the KastKing spinning reel will serve you well. If durability is your main concern, then the Daiwa BG reel is going to last you a long time. So, there you have it, everything you need to be aware of to get yourself a reel that is long lasting and offers excellent performance.